An essential part of the nonflammable, toothpaste-like composite is hexagonal boron nitride (h-BN), the atom-thin compound often called "white graphene." The Rice team led by materials scientist Pulickel Ajayan said batteries made with the composite functioned perfectly in temperatures of 150 degrees Celsius (302 degrees Fahrenheit) for more than a month with negligible loss of efficiency. Test batteries consistently operated from room temperature to 150 C, setting one of the widest temperature ranges ever reported for such devices, the researchers said. "We tested our composite against benchmark electrodes and found that the batteries were stable for more than 600 cycles of charge and discharge at high temperatures," said lead author Marco-Túlio Rodrigues, a Rice graduate student. The results were reported in Advanced Energy Materials. Last year members of a Rice and Wayne State University team introduced an electrolyte made primarily of common bentonite clay that operated at 120 C. This year the team validated its hunch that h-BN would serve the purpose even better. Rodrigues said batteries with the new electrolyte are geared more toward industrial and aerospace applications than cellphones. In particular, oil and gas companies require robust batteries to power sensors on wellheads. "They put a lot of sensors around drill bits, which experience extreme temperatures," he said. "It's a real challenge to power these devices when they are thousands of feet downhole." "At present, nonrechargeable batteries are heavily used for the majority of these applications, which pose practical limitations on changing batteries on each discharge and also for disposing their raw materials," said Rice alumnus and co-author Leela Mohana Reddy Arava, now an assistant professor of mechanical engineering at Wayne State. Hexagonal boron nitride is not a conductor and is not known to be an ionic conductor, Rodrigues said. "So we didn't expect it to be any obvious help to battery performance. 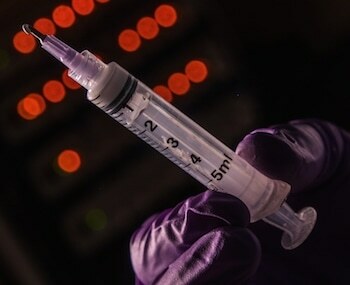 But we thought a material that is chemically and mechanically resistant, even at very high temperatures, might give some stability to the electrolyte layer." He said boron nitride is a common component in ceramics for high-temperature applications. "It's fairly inert, so it shouldn't react with any chemicals, it won't expand or contract a lot and the temperature isn't a problem. That made it perfect." The material eliminates the need for conventional plastic or polymer separators, membranes that keep a battery's electrodes apart to prevent short circuits. "They tend to shrink or melt at high temperatures," said Rice postdoctoral researcher and co-author Hemtej Gullapalli. Tests went better than the researchers anticipated. Though inert, the mix of h-BN, piperidinium-based ionic liquid and a lithium salt seemed to catalyze a better reaction from all the chemicals around it. "It took almost two years to confirm that even though the boron nitride, which is a very simple formulation, is not expected to have any chemical reaction, it's giving a positive contribution to the way the battery works," Gullapalli said. "It actually makes the electrolyte more stable in situations when you have high temperature and high voltages combined." He noted all the electrolyte's components are nonflammable. "It's completely safe. If there's a failure, it's not going to catch fire," he said. "Our group has been interested in designing energy storage devices with expandable form factors and working conditions," Ajayan said. "We had previously designed paper and paintable battery concepts that change the fundamental way power delivery can be imagined. Similarly, pushing the boundaries of working temperature ranges is very interesting. There is no commercial battery product that works above about 80 C. Our interest is to break this barrier and create stable batteries at twice this temperature limit or more."